Summer time is the season of fun, vacations, parties, family gatherings and delicious adventures. Kids are on holidays and we are excited to spend more time outside, travel, visit beaches, splash pads and enjoy hot weather to the fullest. We are happy to be together: kids, parents, grandparents, neighbours and friends all love to be treated with ice cream during hot summer days. In our home you can always find a whole bunch of ice cream tubs, bars and boxes, plus conversations about what flavours are the best, tastiest and the most delicious sometimes become very interesting. 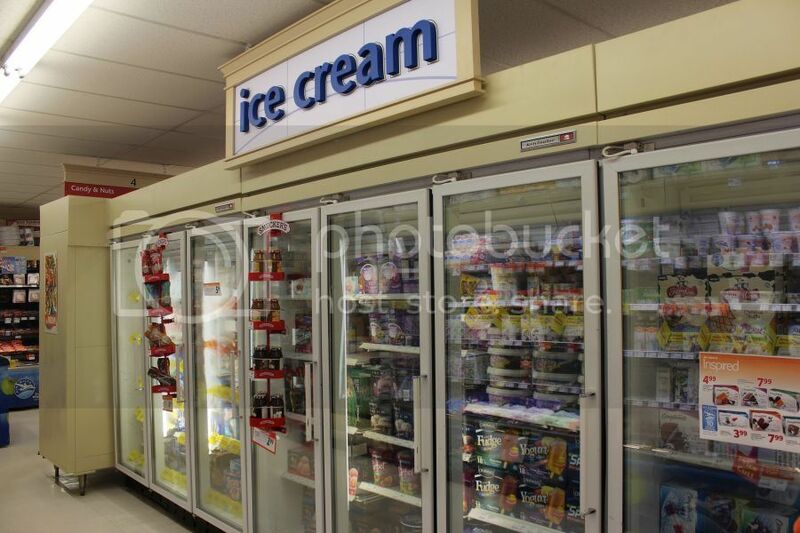 Summer weather makes ice cream in high demand at almost any food chain store and the selection can blow your mind. If we get to the ice cream aisle, we leave it with at least two ice cream items, and often with a future must-try list. 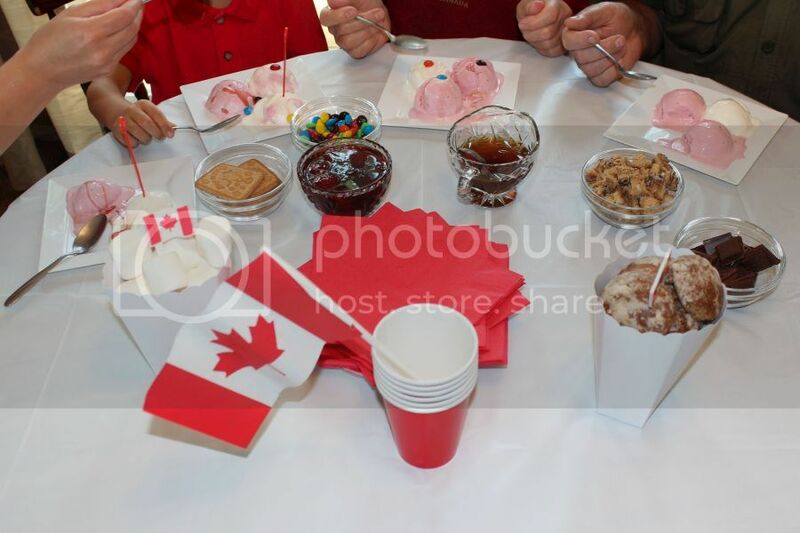 We are huge fans of setting an ice cream bar, it brings multiple benefits for everyone, when we gather together, kids and adults can choose and decorate their ice creams to their tastes and preferences. For example, Teddy loves to top his ice creams with M&M's and chocolate while our grandmother loves to add some maple syrup and jam. Choices are incredible from fruits to cookies, nuts and sprinkles; you can transform your regular ice cream tub into a whole new adventure. 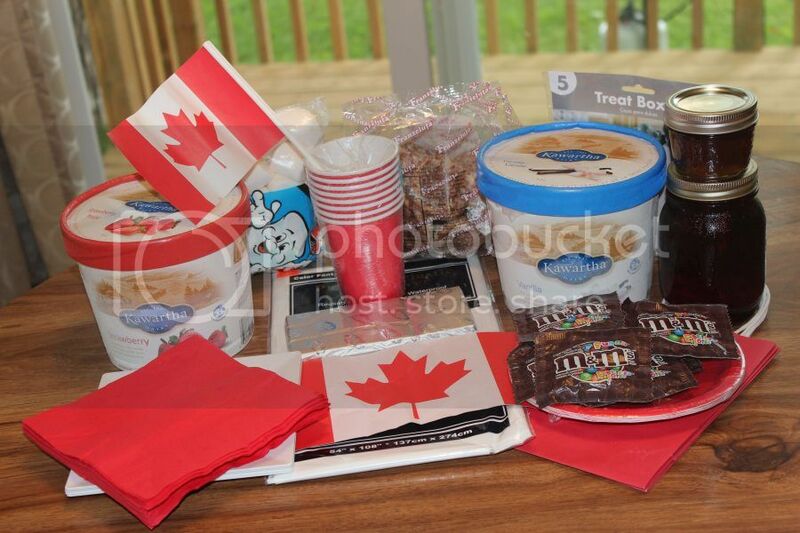 We love celebrating holidays and this year we wanted to set up an ice cream bar for our Canada Day party. 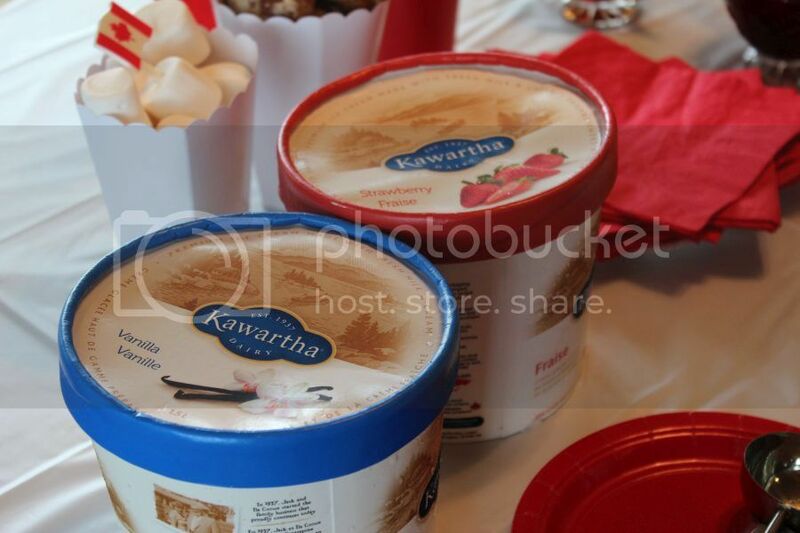 We decided to get two tubs of Kawartha Ice cream vanilla and strawberry flavour to match red and white colors of Canadian flag. Setting an ice cream bar is quite affordable, you do not need to spend a fortune to ignite a holiday spirit and create some fun, a little bit creativity and your table receives a magic transformation. 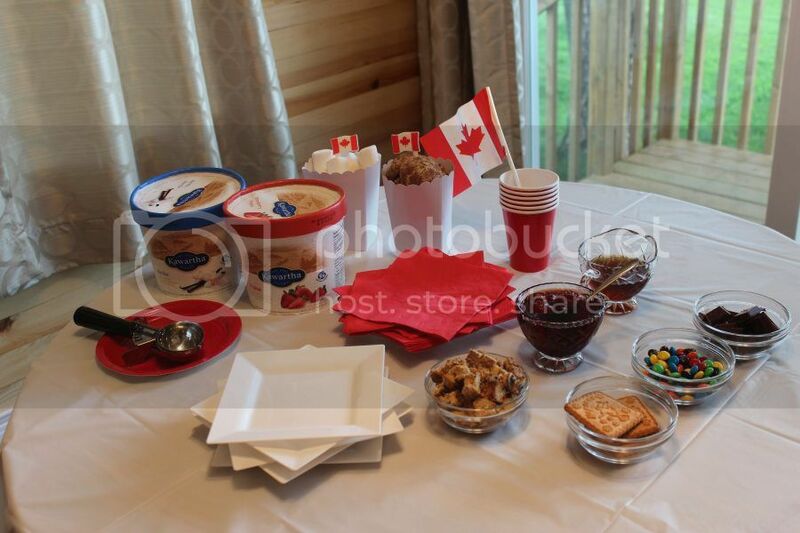 You can also ask kids to help you decorate an ice cream bar; Teddy was full of ideas for our Canada Day Party and helped us to set it up. 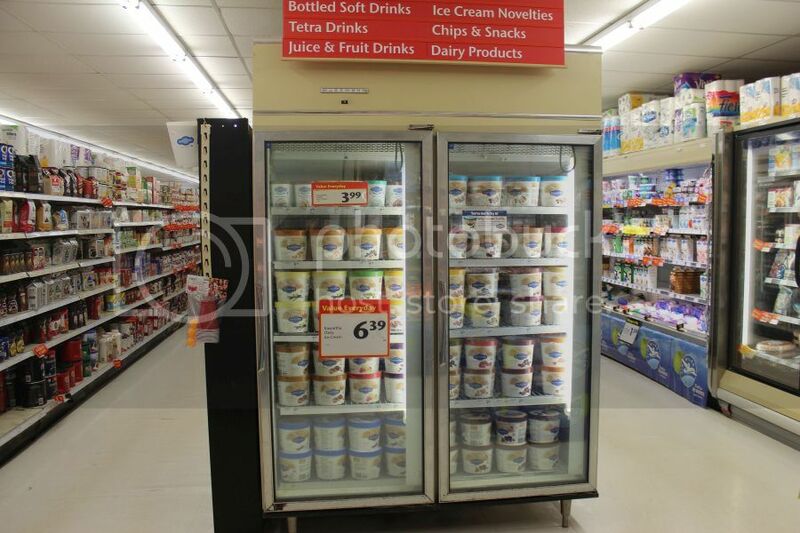 We bought our ice cream and party supply at Foodland. 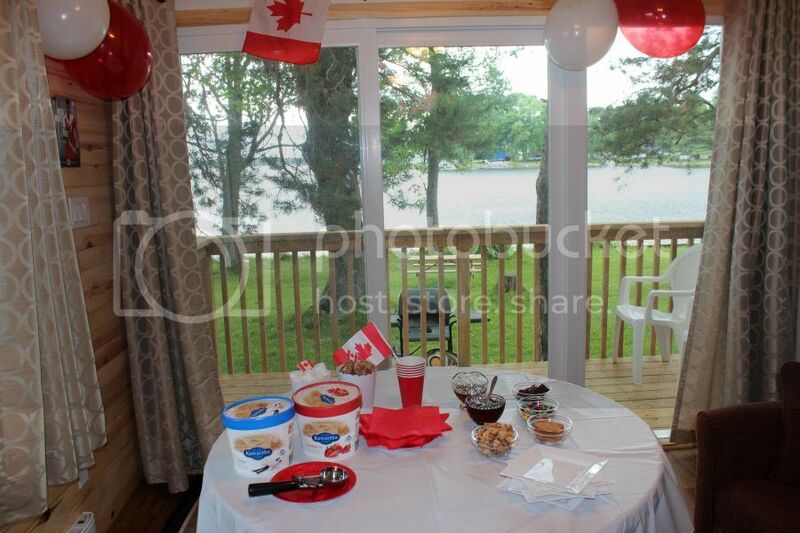 Although we celebrated Canada Day at the cottage, we easily created party table and added some decoration for the fest. 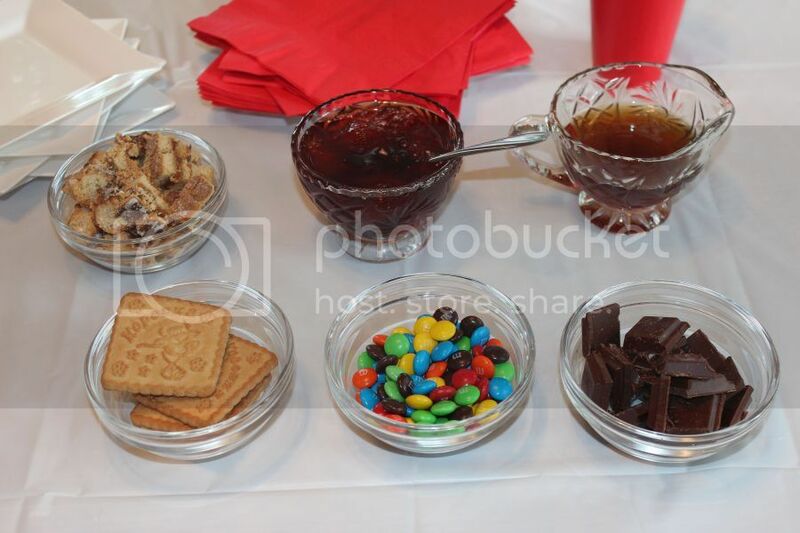 White table cloth, cookies, jam, maple syrup, chocolate and our party was almost ready. We also added some marshmallow and gingerbread cookies. 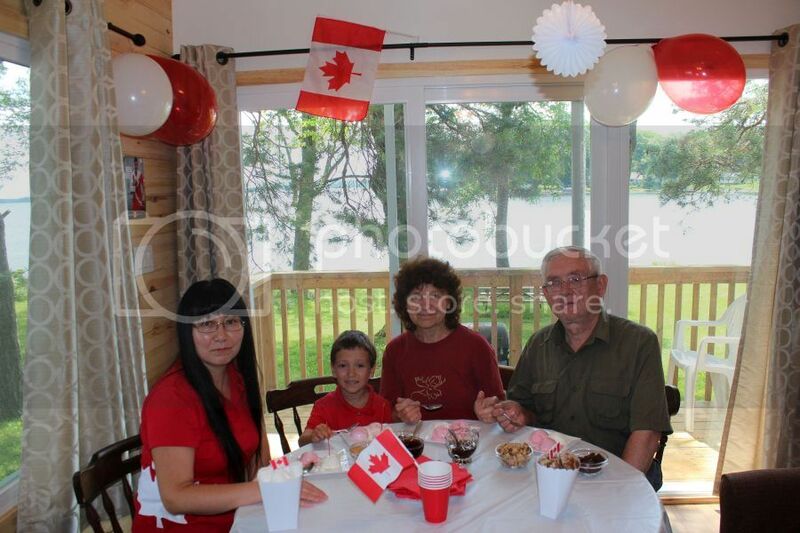 Overall, we had a fantastic party, Teddy, me, daddy and our grandparents had a good time. 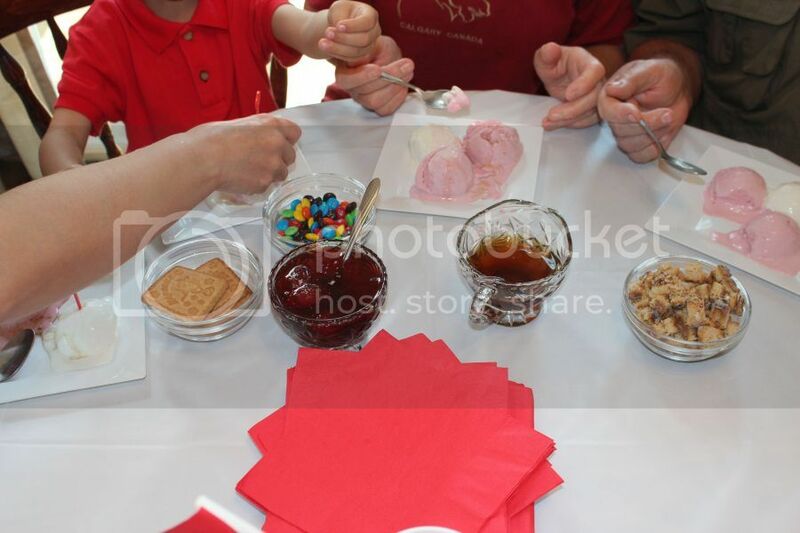 Everyone enjoyed own ice cream creation, considering what picky eaters we all are. Summer is a wonderful time for picnics, BBQs, new tastes and treats like cold ice cream. Enjoy your time: you know how long our Canadian summer is! How fun! 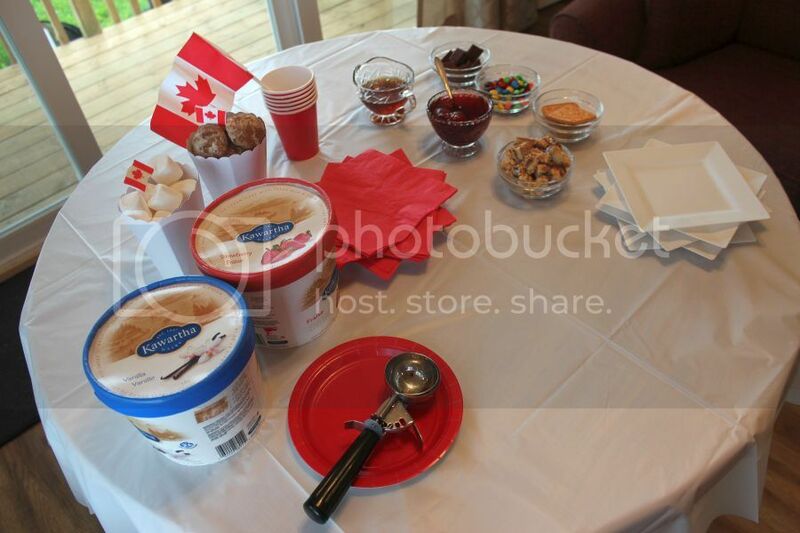 This would be a great party idea, building your own sundae or something like that. 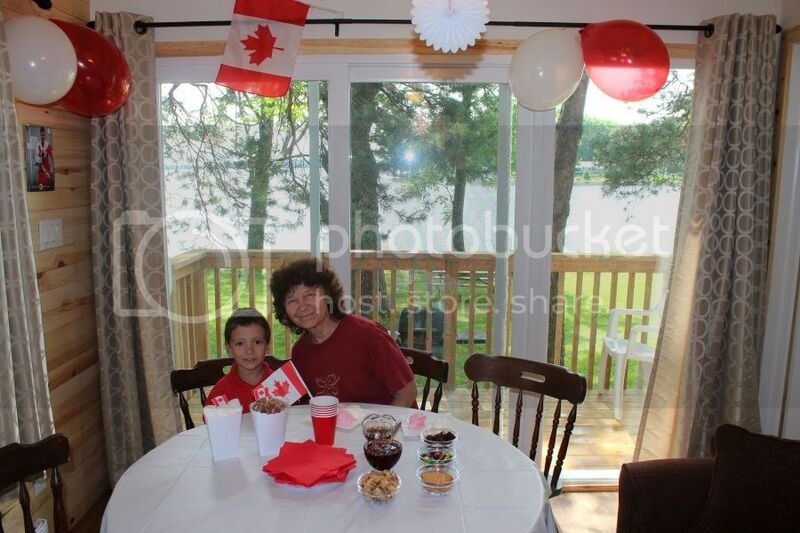 Hope you had a great Canada day! Omg this is such a fun and cleaver idea! Hubby is ice cream obsessed and would totally love this! 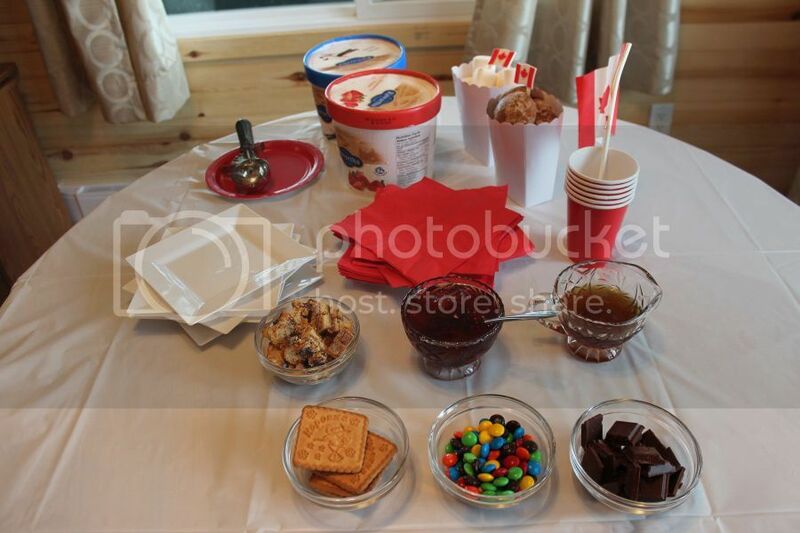 I love the ice cream bar idea! We love ice cream and my kids will surely have loads of fun with this. What a great idea. It will be too fun to dress up your own ice cream! I'm really going to have to do this very soon. This is such a great idea. What fun! Great photos, too! Brings back memories of doing this for youth group activities, way back when!